Happening only once every two years, Mars Retrograde is one of the most intense astrological events we experience. This year, the planet of action is retrograde between June 26 and August 26. Talk about two entire months of chaos and confusion! It doesn’t help that it’s happening during eclipse season, when karmic programs tend to rise to the surface. Given that Mars is all about action, conflict, and rash decisions, it makes sense to try and stay as aware as possible during these two summer months. Some things in our lives will slow down, while others will speed up when we least expect them, and require us to make quick, decisive choices. While I’m a bit of an astrology nerd, I have to confess that tarot is my strong suit. 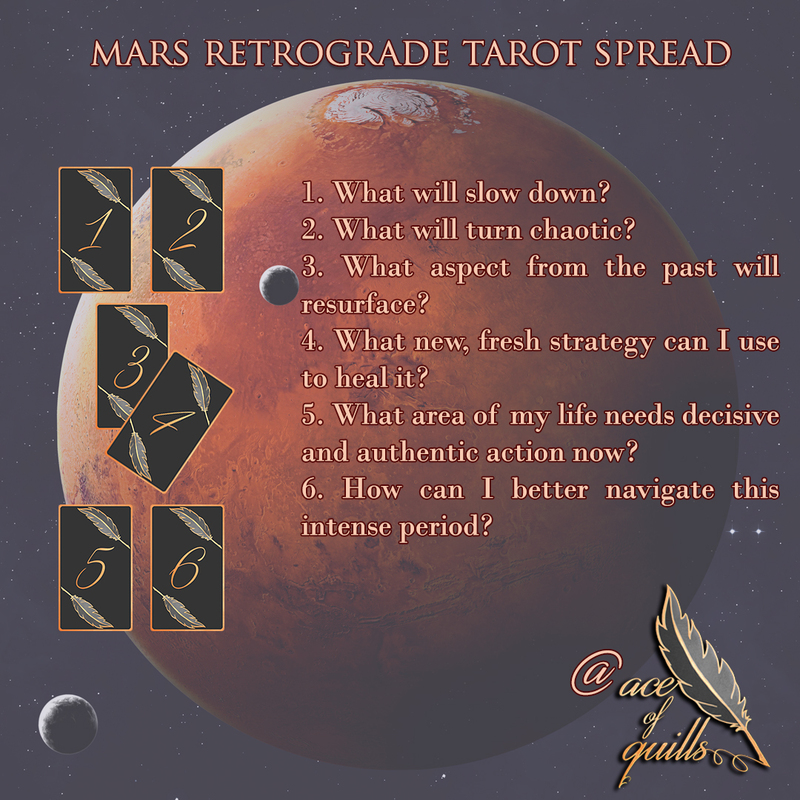 I created this Mars Retrograde spread to help you take a peek into what’s ahead, so you can be better prepared for the red planet’s shenanigans. Choose your deck, shuffle the cards, and ask the tarot for insight into the energies surrounding this Mars Rx and how they might influence you.